Uttarakhand revered as Devbhumi (Land of Gods), was carved out of Uttar Pradesh and a part of Himalayan range to form the 27th state of India, Uttaranchal (to be later changed as Uttarakhand in 2007) on 9 November 2000. Located at the foothills of Himalayas, it has 13 districts sharing borders with Nepal, Tibet, Uttar Pradesh and Himachal Pradesh. It is the only Indian state to give Sanskrit the status of official language. Historical Background : Mountains of this region have been inhabited since pre-historic times. Pauravas, Kushanas, Katyuris, Raikas, Palas, Chands, Parmars, Sikhs, and the British have ruled Uttarakhand in turns. Among the first major dynasties of Garhwal and Kumaon were the Kunindas in the 2nd century BCE who practised an early form of Shaivism and traded salt with Western Tibet. In 1791 the expanding Gorkha Empire of Nepal overran Almora, the seat of the Kumaon Kingdom. In 1803 the Garhwal Kingdom also fell to the Gorkhas. With the conclusion of the Anglo-Nepalese War in 1816, the Garhwal Kingdom was re-established from a smaller region in Tehri, as the larger portion of Tehri, along with eastern Garhwal and Kumaon ceded to the British as part of the Treaty of Sugauli. 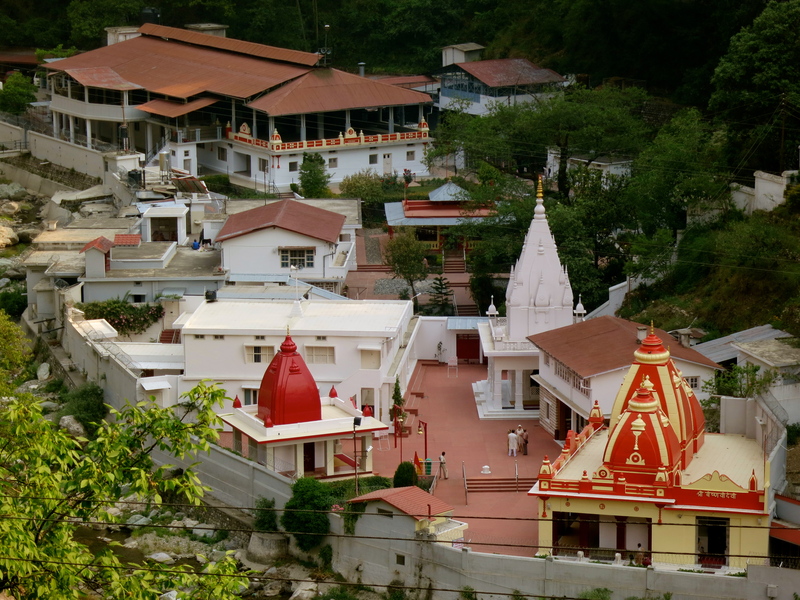 After India attained independence from the British, the Garhwal Kingdom was merged into the state of Uttar Pradesh, where Uttarakhand composed the Garhwal and Kumaon Divisions. Although the erstwhile hill kingdoms of Garhwal and Kumaon were traditional rivals, the inseparable and complementary nature of their geography, economy, culture, language, and traditions created strong bonds between the two regions. These bonds formed the basis of the new political identity of Uttarakhand, which gained significant momentum in 1994, when demand for separate statehood achieved almost unanimous acceptance among both the local populace and national political parties, as a consequence of which finally a separate state was formed. The famous Chipko movement was started here which later on went on to form the base for many environmental movements in India. Geography and economy : Uttarakhand is rich in natural resources especially water and forests with many glaciers, rivers, dense forests and snow-clad mountain peaks. It is the second fastest growing state in India. Agriculture is one of the significant economy sectors here. Basmati rice, wheat, soybeans, groundnuts, coarse cereals, pulses, and oil seeds are the most widely grown crops. It is famous for widely grown fruits like apples, oranges, pears, peaches, litchis, and plums. 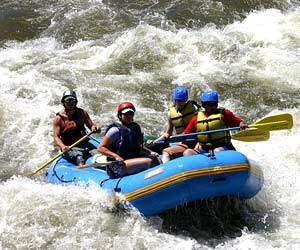 Famous places : Ganga and Yamuna originate from the glaciers of Uttarakhand. 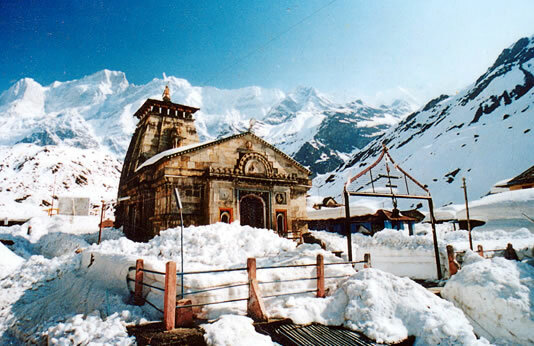 Uttarakhand is famous for Char Dham Yatra which covers Gangotri, Yamunotri, Kedarnath, Badrinath. 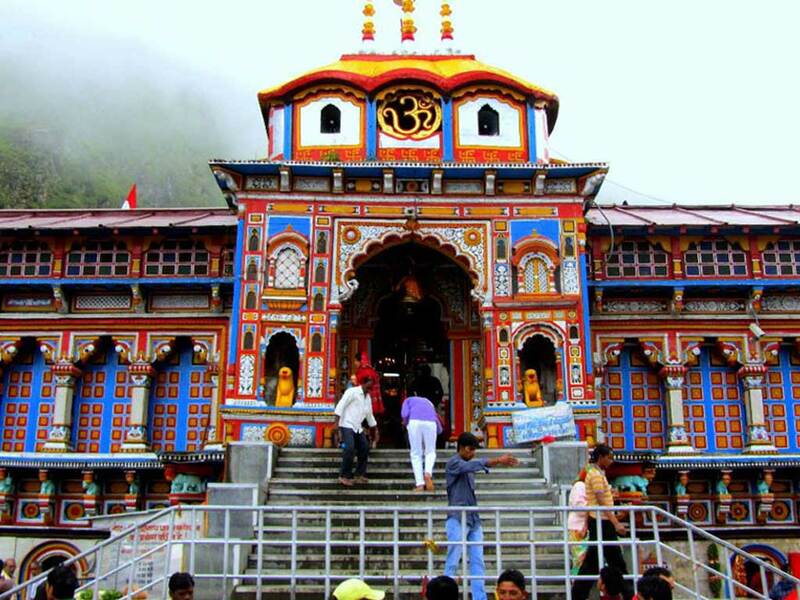 Hemkund Sahib, Jageshwar, Bageshwar, Rishikesh, Haridwar and Kainchi Dham are the other highly venerated pilgrimage places. 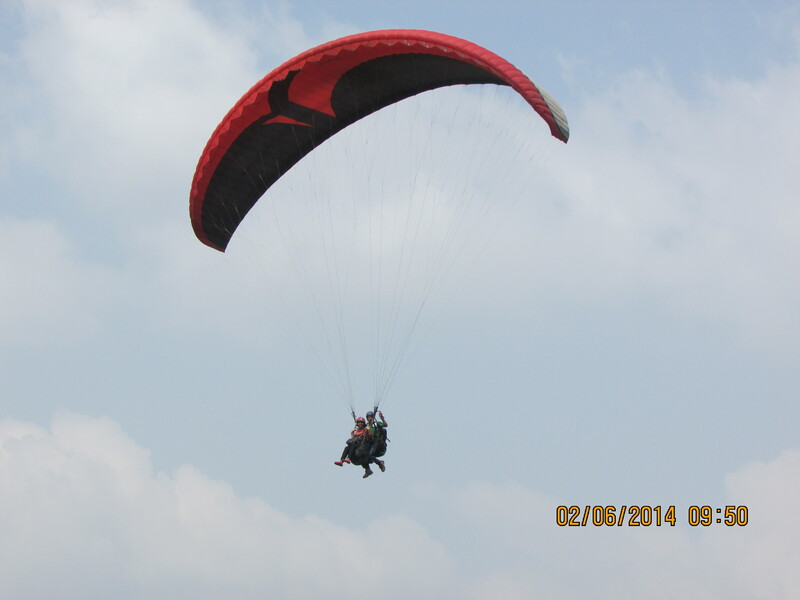 It has 12 national parks and wildlife sanctuaries. 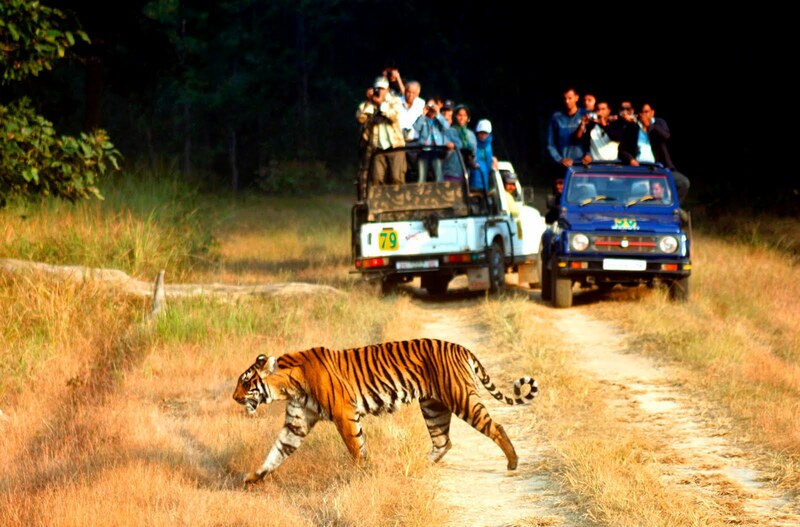 It is home to the Bengal Tiger in Jim Corbett National Park, the oldest national park in the Indian subcontinent. 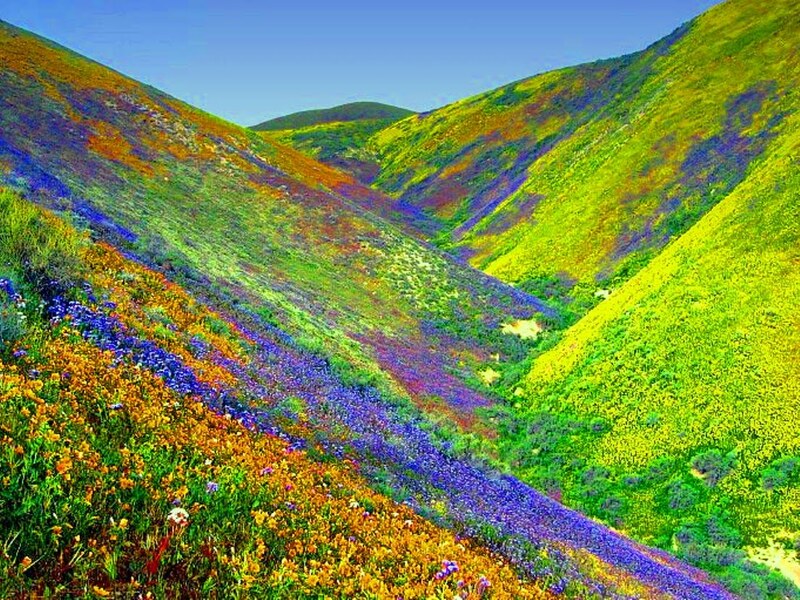 It has 44 nationally protected monuments, including the Valley of Flowers and Nanda Devi National Park which together form a UNESCO world heritage site known for its variety and rarity of plants and flowers. Districts of Uttarakhand presents the panoramic view of the lesser Himalayas. 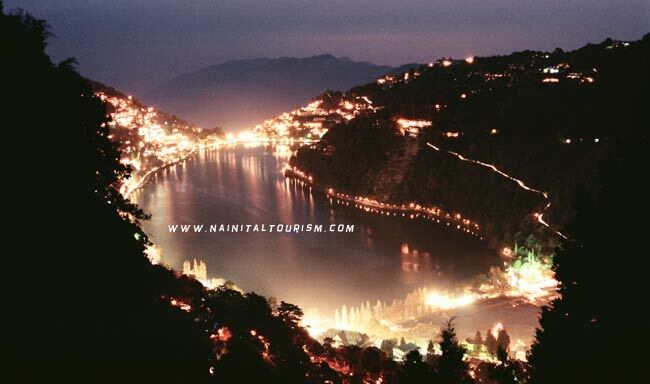 They are an escape to the scintillating hills, majestic valleys, beautiful lakes and the marvelous hill-resorts.Famous hill stations of Uttarakhand are Mussoorie, Nainital, Dhanaulti, Lansdowne, Pauri, Sattal, Almora, Kausani, Bhimtal, and Ranikhet, all well known for adventurous activities like mountaineering, hiking, river crossing, kayaking, trekking, climbing, skiing, camping, rock climbing, paragliding, ice skating, parasailing, canoeing, rafting, yachting, sky diving and bungee jumping. 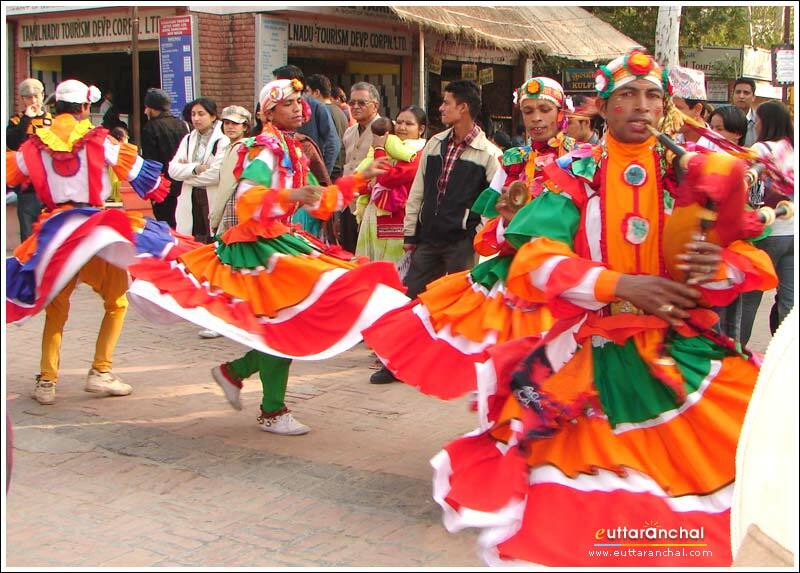 Culture : It has rich literary tradition in languages including Hindi, Kumaoni, Garhwali, Jaunsari, and Bhoti. 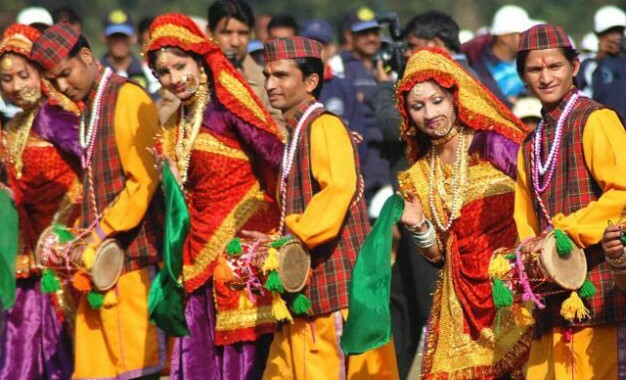 Barada Nati, Bhotiya Dance, Chancheri, Chhapeli, Choliya Dance, Jagars, Jhora, Langvir Dance, Langvir Nritya, Pandav Nritya, Ramola, Shotiya, Thali-Jadda and Jhainta are some of the folk dances performed in various occasions in Uttarakhand. Bedu Pako, Bajuband, Basanti, Chhopati, Chhura, Chounphula and Jhumeila, Jagars, Khuded, Mangal, are some of the folk songs sung in Uttarakhand. Prominent local crafts include wood-carving, paintings,hand crafted jewelley, basketry,shawls, rugs etc. 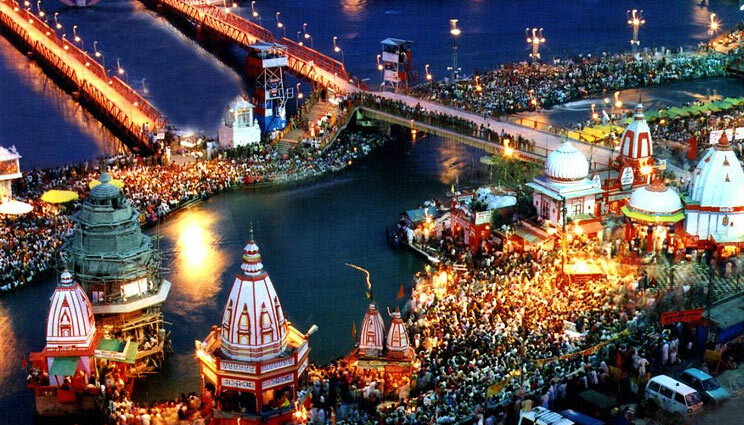 Haridwar hosts the Kumbh Mela every 12 years. Various fairs like Kanwar Yatra, Kandali Festival, Ramman, Harela mela, Nauchandi mela, Uttarayani mela and Nanda Devi Raj Jat Mela take place here. Education : Uttarakhand education is considered of very high and good quality. Uttarakhand houses both the IIT and IIM which only a few states in India do. Uttarakhand also houses famous schools like the Doon School in Dehradun which boasts of alumnis like Prannoy Roy and Vikram Chandra of NDTV and Karan Thapar of CNN IBN fame; and Sherwood College, Field Marshal S.H.F.J. Manekshaw, Major Som Nath Sharma, (India’s first Param Vir Chakra awardee) and Amitabh Bachchan being its notable alumni. Uttarakhand is also home to IMA – Indian Millitary Academy which is the only officer’s training institute in India for Indian Army. Also, the Lal Bahadur Shastri National Academy of Administration (LBSNAA) , a research and training institute on public policy and public administration in India which trains the civil servants of India every year is situated in Mussorie.